Putting a ballistic parachute on a helicopter isn't easy. We spoke with the team behind Curti's revolutionary Zefhir helicopter to learn how they pulled it off. The next U.S. presidential helicopter is on track to cost around $234 million less than initially anticipated, according to a new report from the Government Accountability Office. Honeywell’s investment in a hybrid electric version of its HTS900 turboshaft engine could eventually pay off for its conventional helicopter customers, too. Air ambulance transports in the United States can leave privately insured patients on the hook for tens of thousands of dollars, a new report from the Government Accountability Office confirms. The Southern California flight school One Above Aviation, which promoted itself using the trademark “EatSleepFly,” has suddenly gone out of business. Pratt & Whitney Canada is starting to see “conservative growth” in the civil helicopter industry — and is adapting its service offerings to help customers take advantage of a rebounding market. 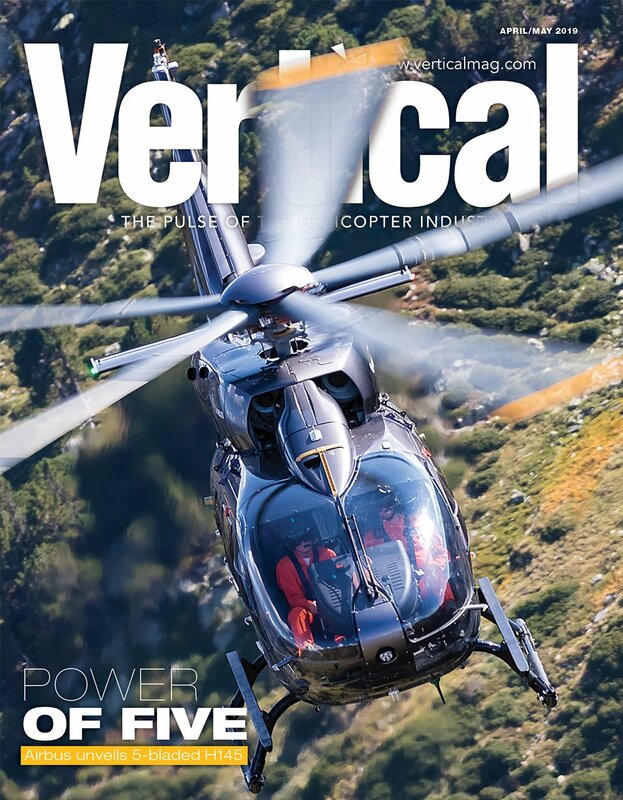 Bell has seen a “bounce” in its commercial market thanks in large part to strong demand for the Bell 505 Jet Ranger X. We spoke with Beta Technologies founder and test pilot Kyle Clark about what it’s like to fly his electric vertical takeoff and landing demonstrator, Ava XC. 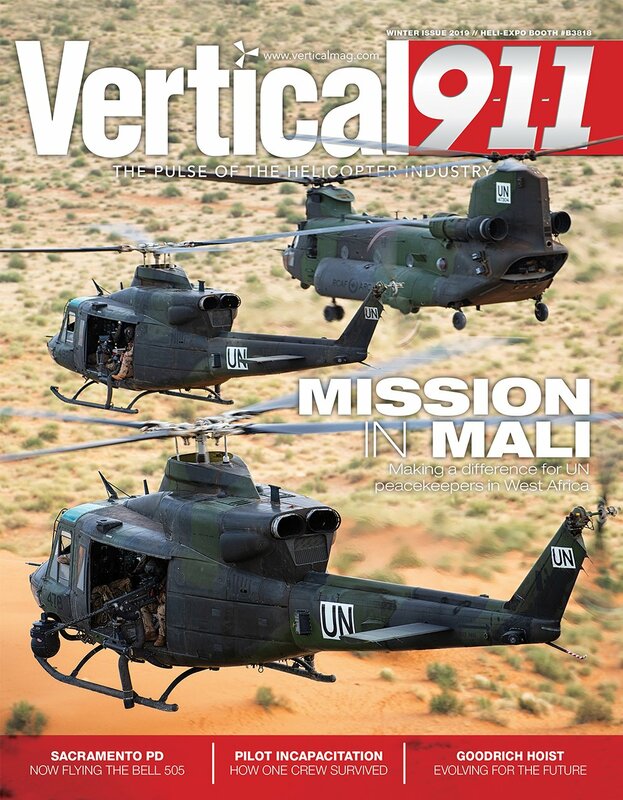 Canada’s new forward air evac capability is making a difference for UN peacekeepers in West Africa. With just four full-time helicopter pilots, the South African National Parks Air Wing punches above its weight. Part 3 in our three-part series on helicopters in Kruger National Park. Based in Cape Town, South Africa, Aerios Global Aviation provides vital services to ships rounding the African continent. Chemical immobilization is a vital tool for South Africa’s wildlife conservationists. Part 2 in our three-part series on helicopter operations in Kruger National Park. Ten years into its anti-poaching campaign, South African National Parks has adapted to its new reality. Part 1 in our three-part series on helicopters in Kruger National Park. Technical problems have put the Sikorsky CH-53K program behind schedule, but parent company Lockheed Martin maintains it can still meet the target for first operational deployment in 2023-2024. We spoke with the team behind the electric-powered Robinson R44 helicopter that set a Guinness World Record on Dec. 7. An apparent labor shortage will be one of the key areas of focus at the Helicopter Association of Canada’s annual convention, according to HAC president Fred Jones. A3 by Airbus is advocating a “direct to autonomy” approach with its tiltwing eVTOL project, Vahana, which would bypass human backup pilots. Everyone who spends time in a helicopter should complete underwater egress training, but many of us in the civil world never get around to it. If you’ve been putting it off, too, here’s what to expect. The doors-off helicopter tour company FlyNYON has fired its new chief pilot, Michael Campbell, after he was arrested on drug and weapons charges on Sept. 15. FlyNYON is once again strapping tourists into harnesses for doors-off flights over New York City. The company claims to have made these risky rides safer — but should they be available to just anyone? We visited the Robinson factory to try out the latest upgrades for the R66, including the newly-certified 1,200-pound cargo hook kit and new touchscreen avionics. The U.S. Bureau of Land Management does not intend to re-evaluate its award of an exclusive use firefighting contract for a restricted category UH-60 Black Hawk helicopter. 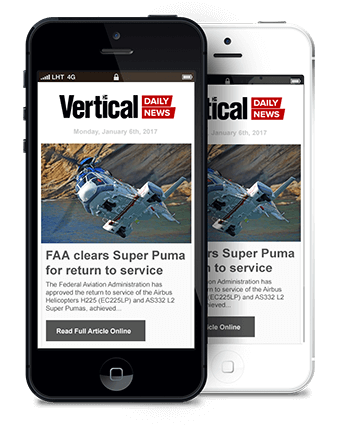 StandardAero has provided more details on restructuring plans that will see the closure of a former Vector Aerospace MRO facility that employs 245 people in Richmond, British Columbia. Bell has responded to customer complaints by reversing an unpopular parts distribution policy that had limited sales to owners and authorized customer service facilities only. Three years ago, flight nurse Dave Repsher was burned over 90 percent of his body in a post-crash fire. Now, he’s finally ready to share his incredible story of survival and recovery. The U.S. Forest Service’s Emergency Medical Short-Haul program has completed its first operational medical evacuation of an injured firefighter, from the Trail Mountain Fire in Utah. 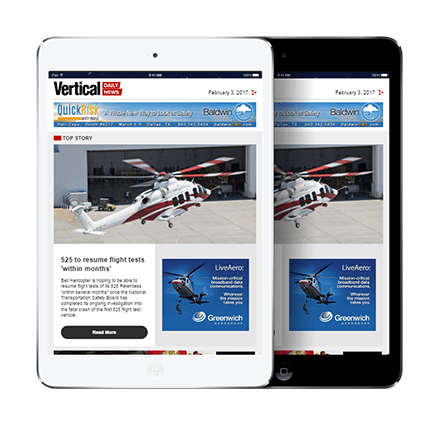 The FAA has grounded some helicopter human external cargo (HEC) operations it permitted for years, after deciding that the cargo hooks being used are not appropriately certified for HEC applications. The GAO ruled against Sikorsky’s protest of the Air Force UH-1N Huey replacement program, but not before the company extracted a key concession from the Air Force. Pending legislation aims to help address consumer complaints over surprise air medical bills, and could change how U.S. air medical operators do business.